The world is such a fallen and broken place, that it leaves us wondering if there will ever be a release from the pain we each experience on a daily basis. Our thoughts start to wonder and ask questions like; is there a God? If he does exist, why is he not doing anything to stop the pains and disaster? 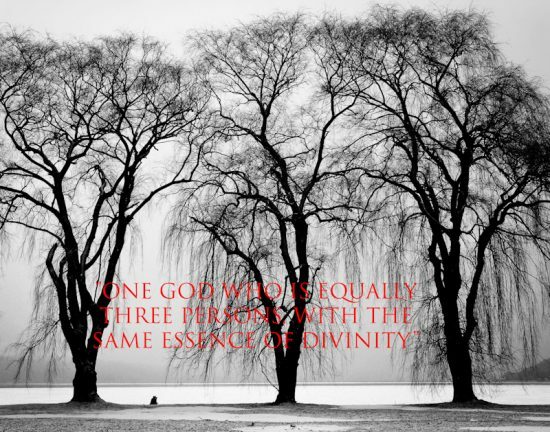 You will receive an upcoming blog where I discussed and described the Trinity as one God who is equally three Persons (God the Father, God the Son and God the Holy Spirit), with the same essence of divinity. So today I thought I should write about whom God the Father is. I think God has been misjudged so much that he gets blamed for a lot of things. I know that once we come to truly know God, we will forever want to remain in a relationship with him. Do not worry if this is new to you because even if you do not know God, the fact that you are reading this means that God already knows you. The bible says in Jeremiah 1:5 that “God knew you before you were formed in your mother’s womb; you were set apart and appointed as a prophet to the nations”. I would love to let you know at this point that God is a Spirit being, so there is no gender. However, the word “Father” has been associated with God because it represents his closeness to us as our creator, leader, guide and protector. When I started my journey with God at the age of 12, I heard the Pastor/minister say Jehovah when he was praying. I asked my friend what Jehovah meant, and she said it is also the name of God. So I started reading the bible to learn about God’s name. There is so much to a name because it describes personality and the impact the name carries. When you know someone by name, they no longer become strange to you. God has so many names, and because he is our creator, he is able to relate to us in any form in order to meet us at the point of or needs or circumstances. I want you to know God as intimately as I have. 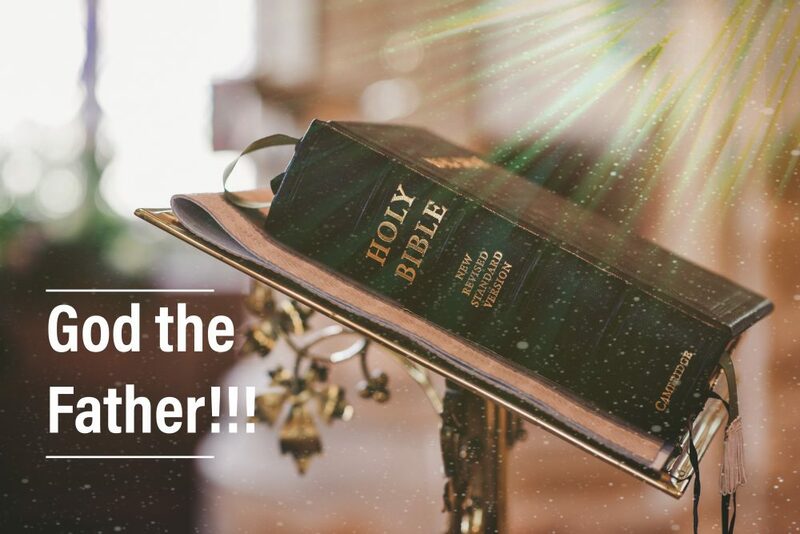 So, I will not only explain some of my favourite names of God in the bible, I will also tell you how the name played a role in bringing me closer to God. 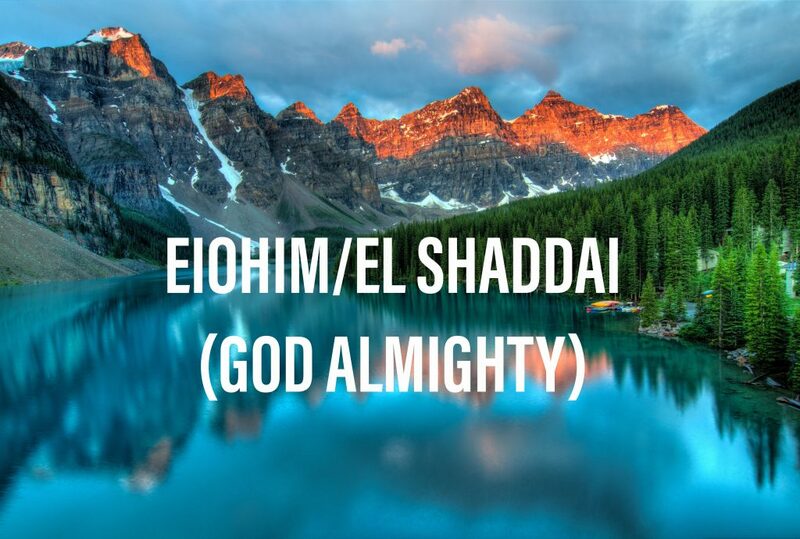 Elohim or El Shaddai (Genesis 1:1; Exodus 6:2-3; Psalm 19:1): This name represents the supremacy of God and his almighty power (Genesis 17:1). In your quiet moments, take some time to marvel at how everything on earth including us was created, how the distance between us and the sun is placed so perfectly that it does no harm to mankind, how every season comes in successions like a masterpiece (John 1:3). As a child, I was always curious about rain that I would go outside to play each time it rained. I still love the sound of rain because it calms me down and puts me to sleep. When it’s not rainy season, I download rain sounds off the internet and drift away. God created us in every way to respond to his creation and he desires to give his children good sleep (Psalm 127:2). This is the work of Elohim, and I can most certainly trust a God who is powerful enough to hold the universe in place. Many people are constantly facing troubles because they have taken the supreme God for granted. We show respect to worldly authority but refuse to show reverence/honour for the almighty. 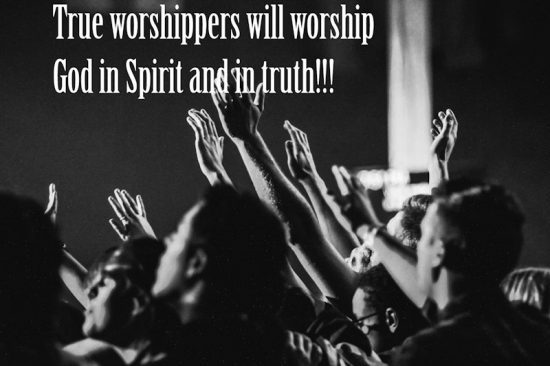 Just like the prophet Habakkuk, let us acknowledge that there is so much to be gained when we show reverential fear of God (Proverbs 9:10; Habakkuk 3:1-16). Every time I am faced with difficult circumstances, I call on Elohim who made heaven and earth because he is my secure place (Psalm 91). It is unfortunate that so many people are nature lovers, yet they do not know or love the creator. As examples, when you love a painting, you will definitely be interested in knowing the painter; when you love a sculpture, you will want to know the sculptor. How can you not love the one who created the painter and the sculptor? (Hebrews 3:4). 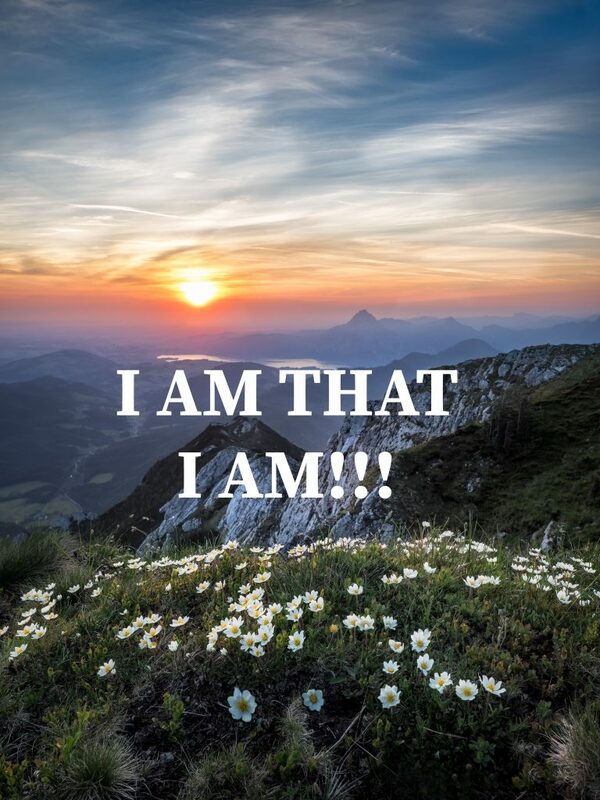 Yahweh or Jehovah means “The Lord” (Psalm 83:18; Isaiah 42:8): This name for God is derived from the Hebrew word for “I AM,” which denotes a God that exists/eternal. This name holds power and assurance of a God that is forever present. In my early teens, I was lazy to read the bible. So each time my mum gave me some money, I would use it to purchase every movie made from the bible. I watched the story of Moses (1956 movie played by Charles Heston and Yul Brynner), and wow the voice acting for God was so good I got chills. When God told Moses, “I AM WHO I AM” (Exodus 3:13-15), I was in awe because God was very direct with his name and it had and still has so much authority. I was so excited for Moses to go back to Egypt so all I could say was “Pharaoh of Egypt is about to get a whooping”. It got me thinking that I AM also knows and has specific plans for me like he did with Moses. Well, here I am many years later in South Africa, writing to you about Yahweh. Are you having doubts about your future? Have no fear because Yahweh knows you better than you know yourself. Abba means “Daddy/ Father” (Galatians 4:6) which is my favourite name for God: I asked my mum why she shouts Daddy every time she is running from a rat or a cockroach, and she says “I am calling on God to protect me”. It was amazing to know that my mum has gotten into an intimate relationship with God by calling him Daddy. Brethren, the most endearing and intimate form of relating to God is calling him Abba Father as Jesus (second person of the Trinity) and Apostle Paul did (Mark 14:36; Romans 8:15). Abba is the Aramaic word for Father and it shows God’s character as loving, trustworthy, caring, protecting, forgiving and all knowing. Like me, I know many of you have either lost or had disappointing relationships with your dads. I want you to know that none of it was or is your fault. I am comforted by Abba in the bible verses (Psalm 27:10; Psalm 68:5), that he will never forsake me. I love the movie Passion of Christ because when Jesus who was played by Jim Caviezel was continuously being nailed to the cross, he kept shouting and crying Abba. I am actually getting teary right now because that was such an intimate moment for me. Jesus knew that his Father felt his every pain on the cross, just as I know he felt my pain during the miscarriages. I called out Abba Father in the hospital and I knew he heard me because even in pain I felt peace. This may not make sense to many but trust me, once you begin to see God the way he sees you, every pain, sorrow and joy you felt will start to make for a very wonderful miracle. Just know this; “your scars are your miracles and testimonies”, and I will touch on all these with time. El Roi means “The God Who Sees”: This in fact denotes a loving God who continuously watches over you. This is the name that Hagar, the servant of Sarah and Abraham gave God when she encountered him in the desert (Genesis 16:13-14). 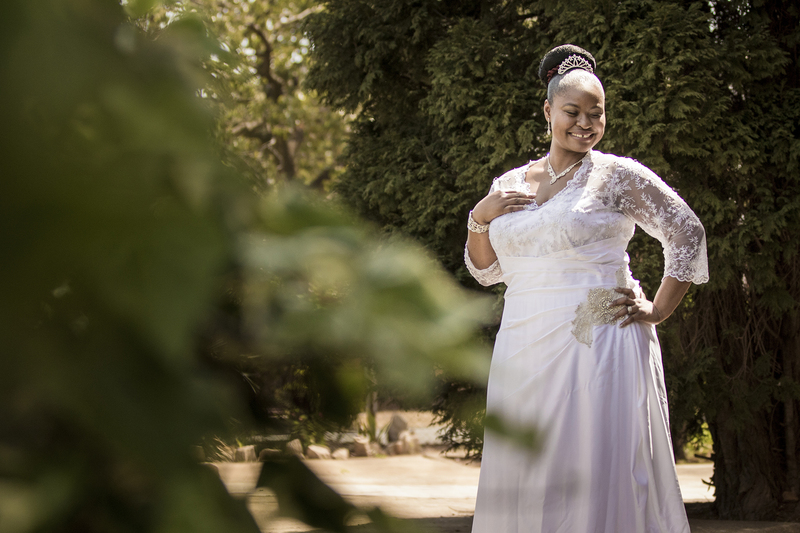 In her darkest moments, God sees her and he grants her the help she needed. 2 Chronicles 16:9 says “For the eyes of the Lord range throughout the earth to strengthen those whose hearts are fully committed to him”. With every event that took place in my life, I truly began to believe that he sees everything that will or has happened to me. I have been molested several times as a teenager, and during the attack I would say in my heart “God I know you are seeing this, please save me”, and in an instant the attacker lets me loose. I am sure you would ask why God would allow it to happen in the first place. Trust me I asked the same thing and he said, “your battles will always be a testament to how present I am in your life”. If I was never attacked, I would not have known that God indeed sees all and that he is my present help in every circumstance (Psalm 121). I want you to begin to know God because his protection and love is made even more available when we honour and obey him (Deuteronomy 12:28; Mathew 6:3-4). 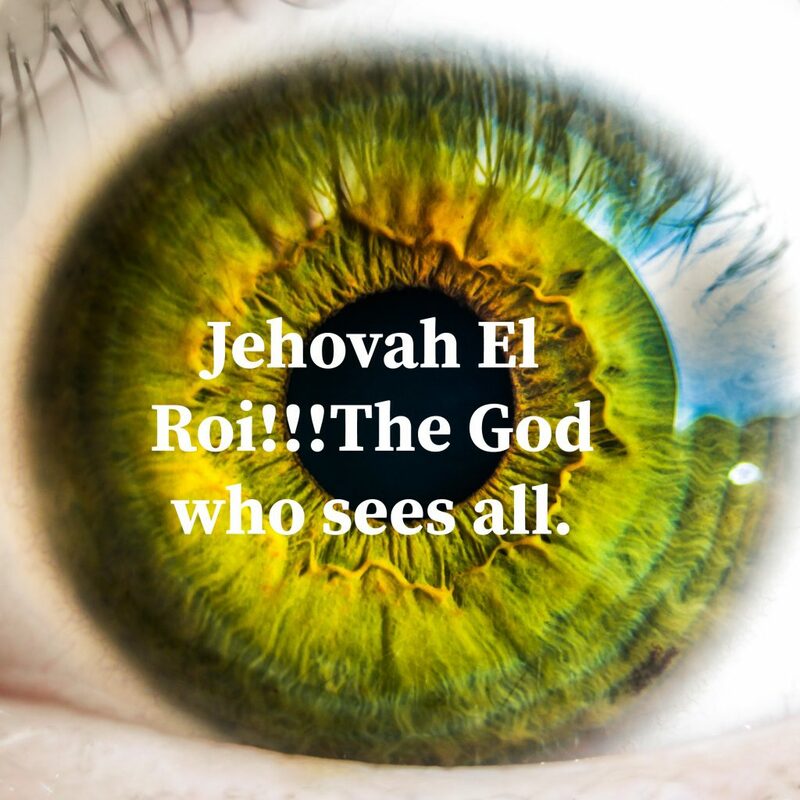 When you are down, disappointed, stuck, depressed, lonely, broken hearted or in pain, just remember that Jehovah El Roi cares, sees and knows everything about you. Try listening to the song “He Knows” by Panam Percy Paul from the album cheer up and you will be blessed. 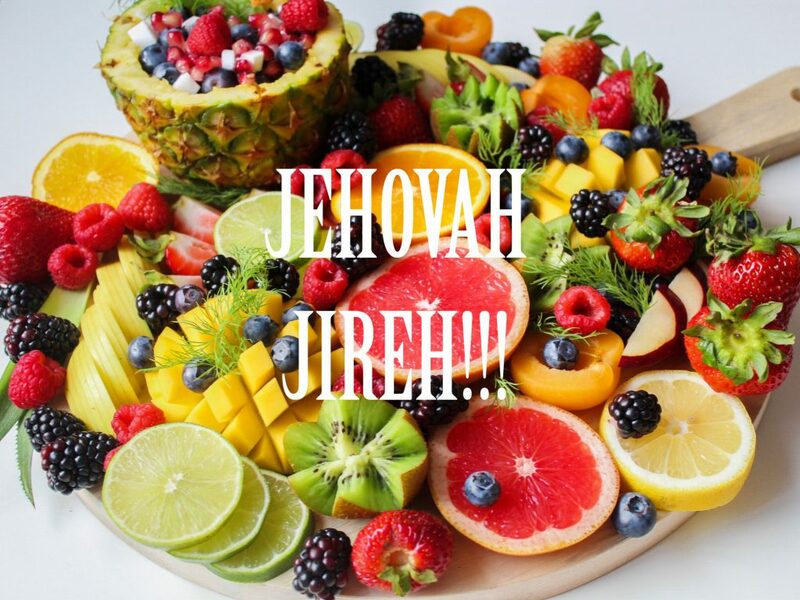 Jehovah Jireh means “The Lord Will Provide” (Genesis 22:14): This name comes from deep within our hearts, when we truly believe that God will always supply our needs. Read the story of Abraham in Genesis 22, where he shows impeccable faith/trust in God. When we communicate to God in prayers, we will not always get what we ask for, not because he does not love us but because he knows what is best for us and sometimes to test our trust in him (Hebrews 11:17-19). Prayer is a form of dialogue with God, where we express thanksgiving, tell him our deepest desires and listen as he speaks to our hearts. Provision has only been associated to getting financial blessings but I tell you it also expands to our spiritual and emotional needs. There is a reason why Jesus tells us in Mathew 6: 25-34 not to stress or be anxious over our lives. He shows a wide range of God’s amazing provision right down to the birds and flowers. If he cares so much about the lilies, how much more will he provide for us who are created in his image and likeness. When we start to know God intimately, there is nothing that is impossible to him (Luke 1:37). Many people in the bible attest to the goodness and provision of God; to Abraham he provided an heir, to Noah he provided a safety haven from the flood, to Joseph he provided favour and protection till he became prime minister of Egypt, to the Israelites he provided manna (food) from heaven, to Daniel he provided safety even in the Lion’s den and to the entire world he sent Jesus to save us from sin and made available for us grace (unmerited favour/undeserved goodness) etc. To me, he became Jehovah Jireh when he miraculously provided food after I starved for three days. I expanded more on this story in my previous blog “You are not forgotten”. Whatever your need is; in times of tears, fear, pain, lack, loss and loneliness, trust in Jehovah Jireh to meet you at the point of your needs (Philippians 4:19). 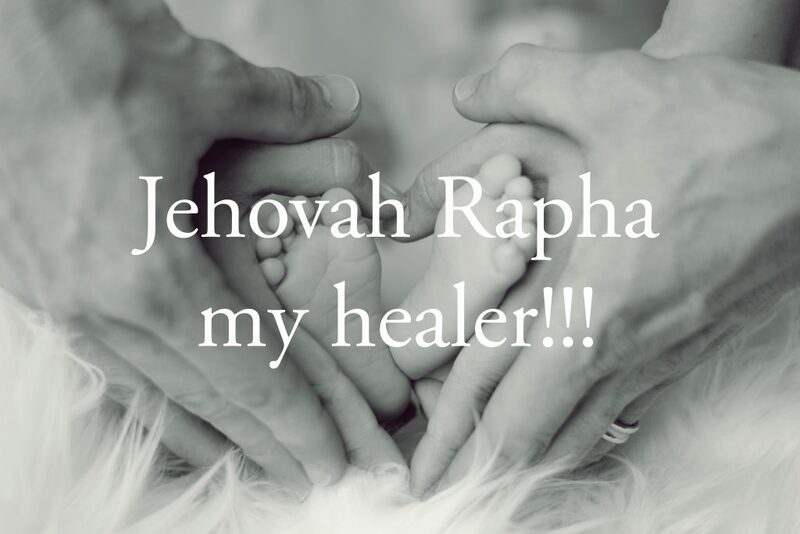 Jehovah Rapha (Healer): This name means the Lord that makes whole, cures, heals and restores (Exodus 15:26; Luke 4:18; James 5:14). The world is in need of healing from physical pain (illness or disease), spiritual suffering (anger, demonic possessions, bitterness, unforgiveness, broken spirit) and emotional pain (addictions, depression, anxiety, disappointments). Healing is not just what God does, it is his nature and it flows out of him in compassion and mercy. This is demonstrated in the Person of Jesus who says “be healed and made whole” with just one touch (Mathew 9:22; Mathew 14:36; Luke 17: 1-19; Luke 8:48; 1Thessalonians 5:23-28). Wholeness is a complete, free and perfect gift, nothing missing and nothing broken (Isaiah 53:4-5; 1 Peter 2:24). Imagine unlimited wholeness when you not only know God but also have a relationship with him. I suffered from migraines for almost 8 years and now I walk in complete wholeness and healing. As long as we live in this broken world, we will constantly need our Jehovah Rapha (Ecclesiastes 3:11), so I urge you today to open your hearts and begin to know God and acknowledge him. 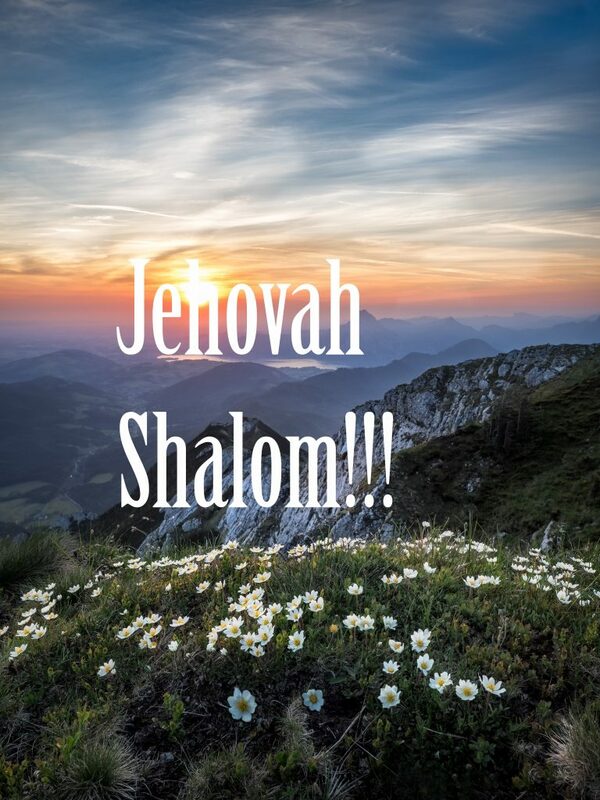 Jehovah Shalom: This means “The Lord Is Peace or Jehovah send Peace”: This was the name of the altar built by Gideon in thanksgiving to God for saving him and his people from troubled times (Judges 6:24). When you are distressed, troubled and anxious about the circumstances in your life, I want you to know that God will give you peace that surpasses all human understanding (Philippians 4:7). As the eldest child in my family, I get anxious very easily because I was always faced with extreme pressure to be the best at whatever I did. With these pressures came anxiety and illnesses like migraines and stomach ulcers. What I did not understand was that it was never up to me to accomplish it all. We all want a whole lot of things (Degrees, money, jobs, marriage and kids) but have we ever wondered what God wants for us. Jesus made it clear every time that Shalom (peace) must be part of our lives (John 16:33). So whatever you do or are contemplating on doing and there is no peace within you, do not go down that path. The best way to experience the peace of God is not just about asking him for things but by inquiring what he wants you to do. Knowing this has taught me to take the focus off myself and focus on other people’s needs. So, on your journey to knowing God and no matter what you face, always remember that God is your peace. Even after Jesus rose from the grave, the first thing he said to his beloved friends and apostles was “Peace be to you, be not troubled” (Luke 24:36-43). Alpha and Omega (Revelation 21:6): I know many of us have asked where God begins and ends. Revelations 1:8 tells us “I am the Alpha and Omega,” says the Lord God, “who is, and who was, and who is to come, the Almighty”. Merriam-Webster Online Dictionary defines Alpha as (first, beginning and origin) and Omega as (last, final, completion and conclusion). Ever since I started my journey with God, I can sincerely say that the last 3 years have become my celebratory phase with him. I have come to appreciate the meaning of Alpha and Omega. He opens the door to my new beginnings, he finishes what he starts in my life and he closes the door to any destruction to my life. I am not disturbed by the worries of the world and its circumstances because I know he who is first and last in my life (1 Corinthians 2:9; Revelation 4:11). My favourite bible verse is Lamentations 3:37 which says “Who can speak and have it happen if the Lord has not decreed it”. So; your unbelieving parents, wicked relatives, greedy or brutal boss, abusive husband, quarrelsome wife, boastful, arrogant or judgmental friends have no say over your life as long as you hold steadfast to the Alpha and Omega (Psalm 90:2). I began with him from the moment I was born and when I die, I end with him in eternity (timelessness). Ancient of Days: In Daniel 7 verse 9, 13 and 22, we find Daniel referring to God in his dreams and visions as the Ancient of days. The Lord also reminds us again in Isaiah 46:9-10 saying “Remember the former things, those of long ago; I am God, and there is no other, I am God, and there is none like me. I make known the end from the beginning, from ancient times, what is still to come. I say “my purpose will stand and I will do all that I please”. I believe this to mean the eternity and purity that God represents. God existed prior to creation itself, his knowledge covers the beginning to the end of all things, and he alone will judge all of mankind (Romans 14:10; 2 Corinthians 5:10). It is a powerful thing to know that my future is in God and that I do not have to worry about what is in front of me. 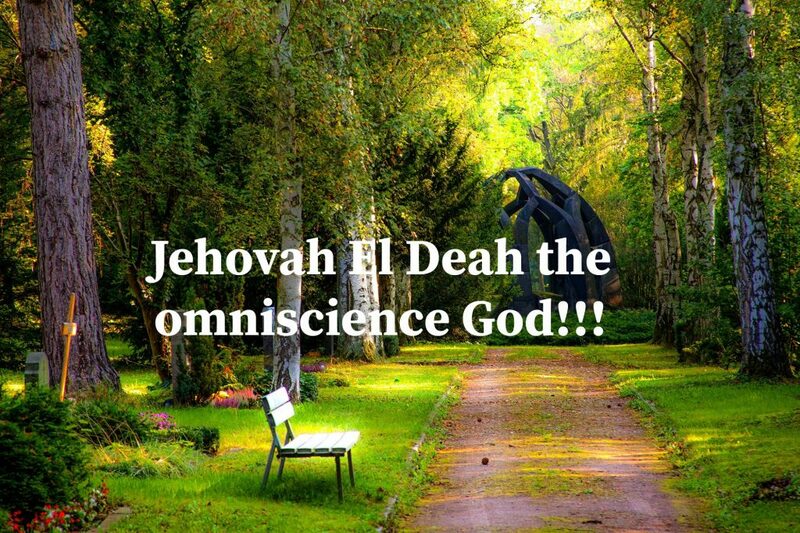 El Deah: This name means God knows all (Omniscience). When I think on the omniscient God, I am faced with the truth that he knows everything about me, what I am thinking and what I intend to do (1 Samuel 2:3). He is in my past, present and future, so nothing is a surprise to him. He knew when I would come to him wholeheartedly, he knows all the mistakes I will make in life, and he knows how many times he would have to speak to me before I listened to him. I also realized that I will never fathom everything that is God, so I just delight myself in knowing his love and living in obedience to him (Romans 11:33-36). The reason he wants us to have a relationship with him is so that we can hear him when he speaks to us on which path we must take (John 10:27-28). We sometimes judge God and question him as to why he allowed this or that to happen. I can’t imagine how difficult it must be for God to watch all that is happening considering the stubbornness of humanity. Why did God create us if he knew this would happen? Well, I can tell you that not creating us was out of the question for him. With every mess he foresees, he already sets in motion a plan B to set us free. I was that person who always puts work before my health. I did not know how close I was to exiting this world and God knew what my calling was the entire time. So, the only way to get this stubborn child to listen to him was to ensure I did not continue with my PhD. How did he get me to stop the PhD? He allowed a multiple of health events put me to a stop (a miscarriage and half swollen face from migraine attacks). Friends, we are human and we can never know what is good for us. Sometimes what you consider bad turns out to be what God uses to bring you to your purpose in life. Think about it!!! I enjoyed watching The Encounter because it gives an accurate representation of how painful it is to be God. God has moved heaven and earth to reach the hearts of many but we choose to do our things and live in ignorance. The actor Bruce Marchiano who played Jesus was phenomenal because he reflected the pain God feels from knowing that there are some who cannot be helped or saved. Imagine God gave you the gift of knowing that in 10 years your little boy would join a gang, you do all you can to speak to his heart and make sure it doesn’t happen but he never listened to you. I challenge you today to seek the face of God, seek to know his words, seek to be in a relationship with him and he will never let you down. The beautiful thing about God is that we can never know all of him. There is always a fresh revelation of God and I believe by his grace this will continue till the day I take my last breath. In my next blog, we will spend time knowing what God has done for us, and this will be shown in the Person of God the Son Jesus Christ. Take time to study the word/bible one day at a time, discover your cherished name for God and what he means to you. May your hearts and minds be renewed and filled with joy as you begin the journey of knowing God in an intimate way. Haaa, This is so nice! Loved it!